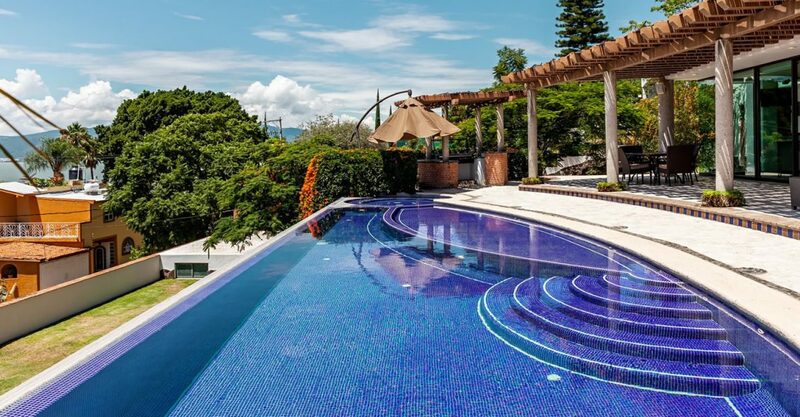 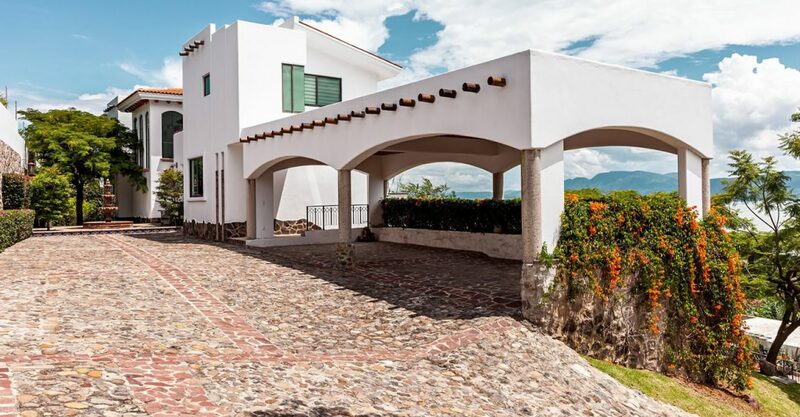 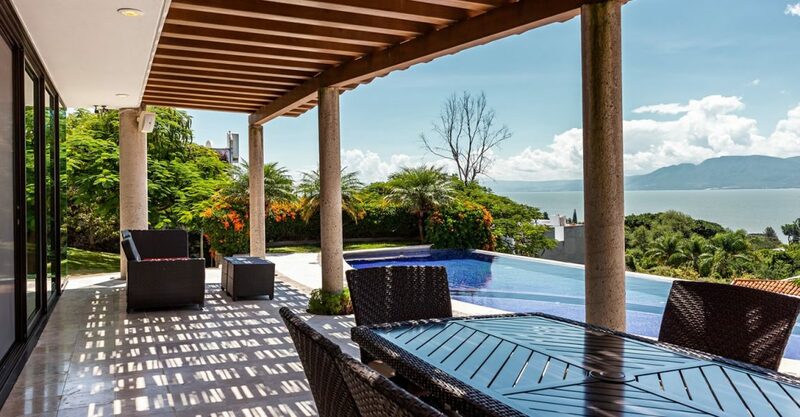 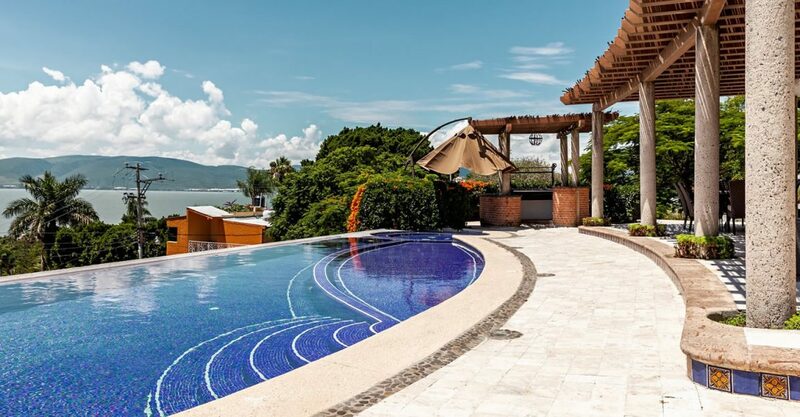 Beautiful 5 bedroom home for sale in Mexico located in El Limón near Jocotepec offering spectacular views of Lake Chapala. 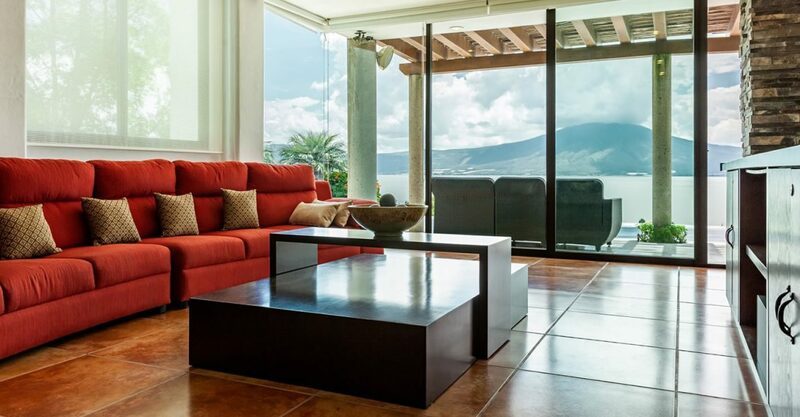 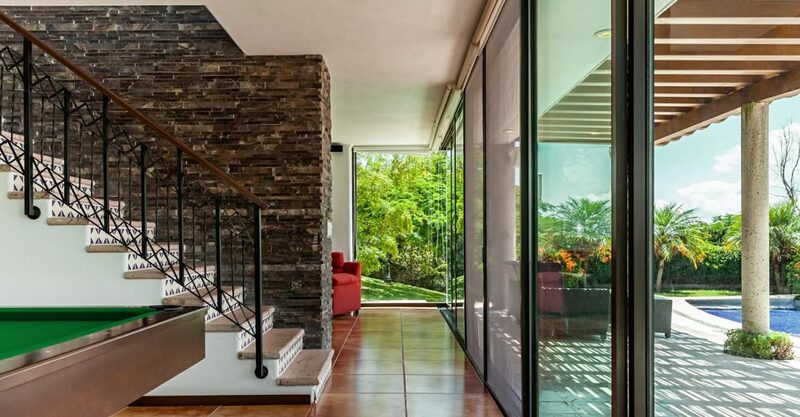 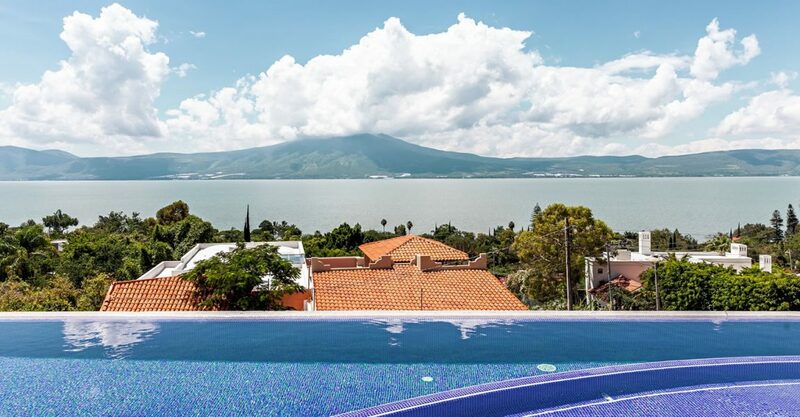 Searching for the finest homes for sale in Lake Chapala? 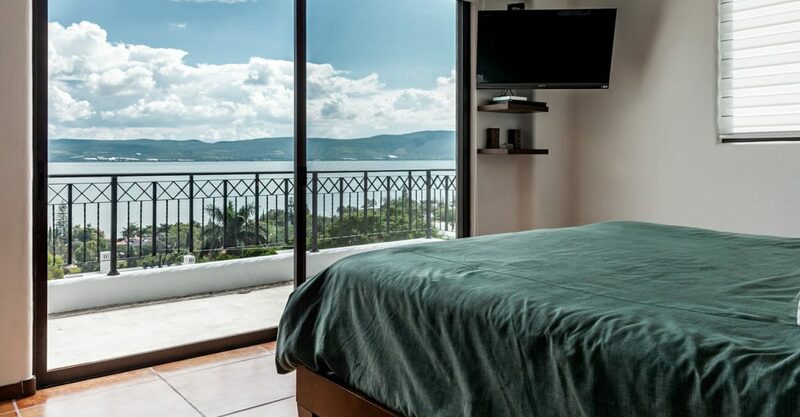 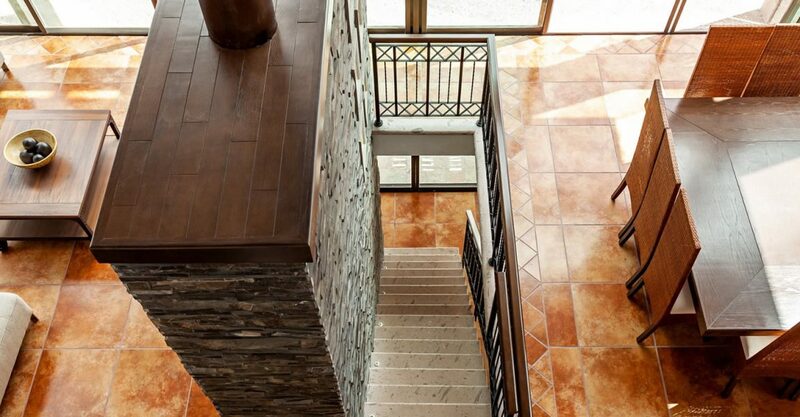 Located in El Limón near Jocotepec in Jalisco, Central-Western Mexico, this beautiful home offers spectacular views of tranquil Lake Chapala and the mountains. 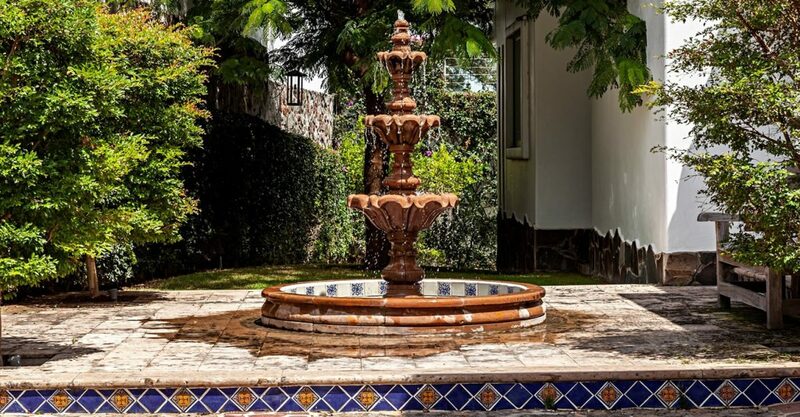 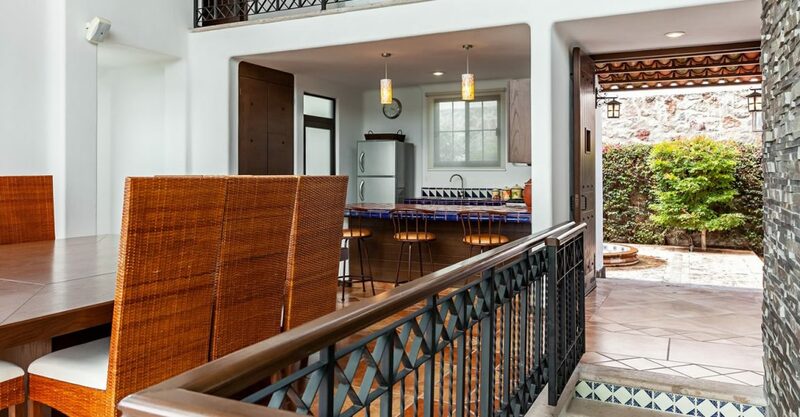 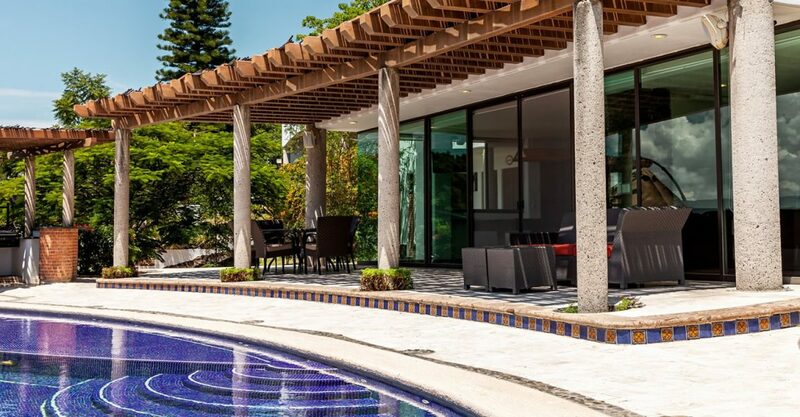 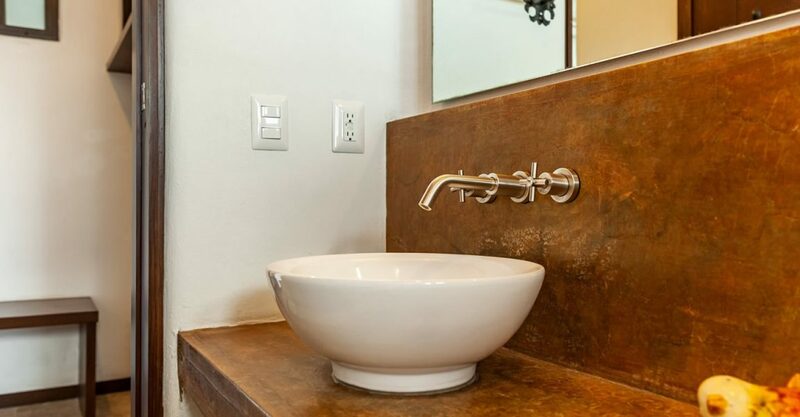 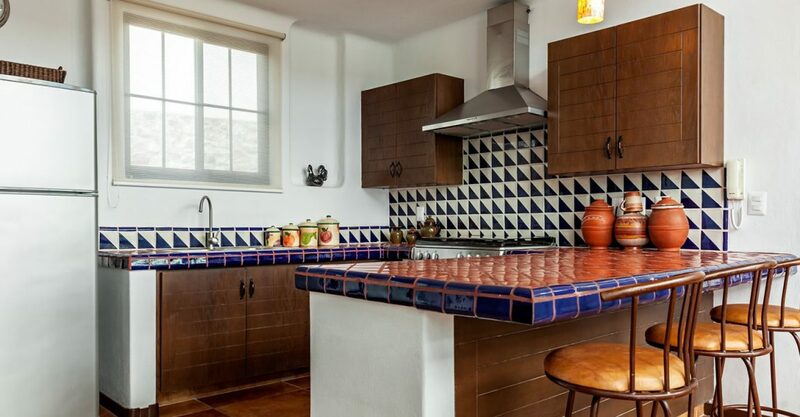 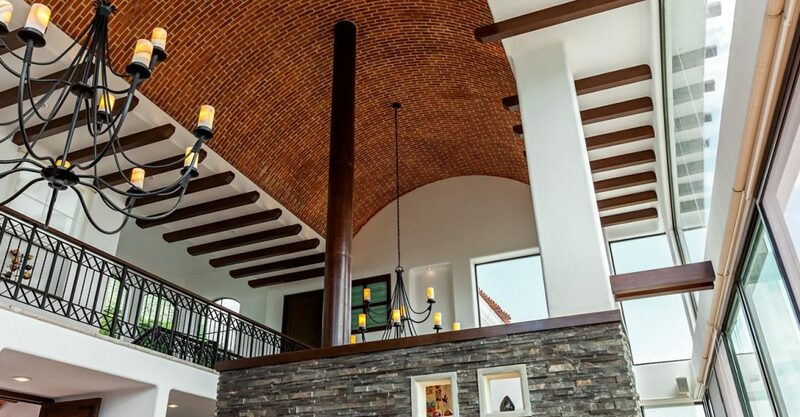 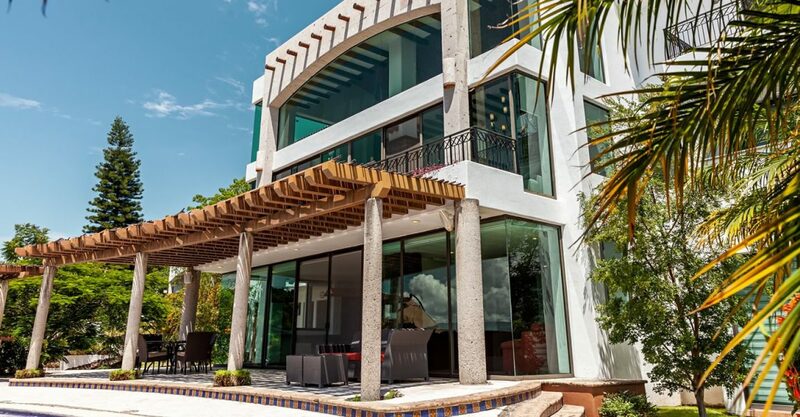 The property is set in 2,200 square meters of spacious fenced grounds filled with fruit trees and features 690 square meters of living space over 3 levels designed in a traditional Mexican style with tiled floors, exposed brickwork, elegant fountain by the entrance and breathtaking views. 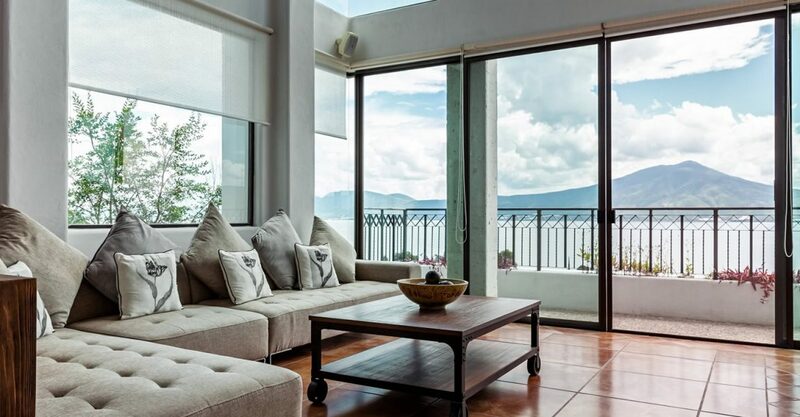 The interior features a double height living and dining room which is open to the kitchen and flows out to a balcony to enjoy the views. 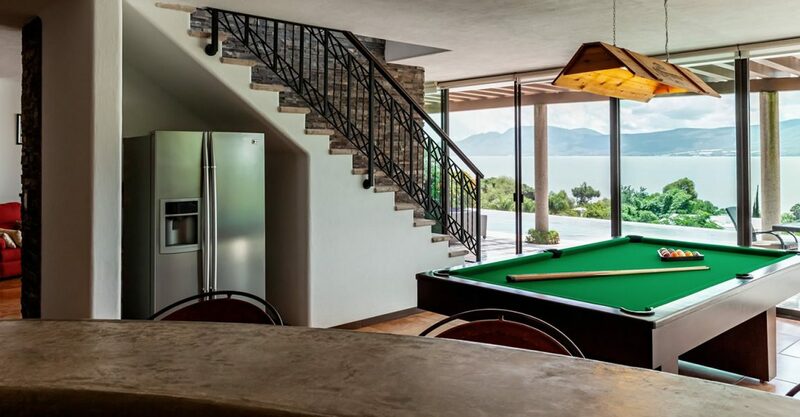 The basement features another sitting area and games room with bar which features sliding glass doors opening on to an outdoor shaded dining terrace and the pool area. 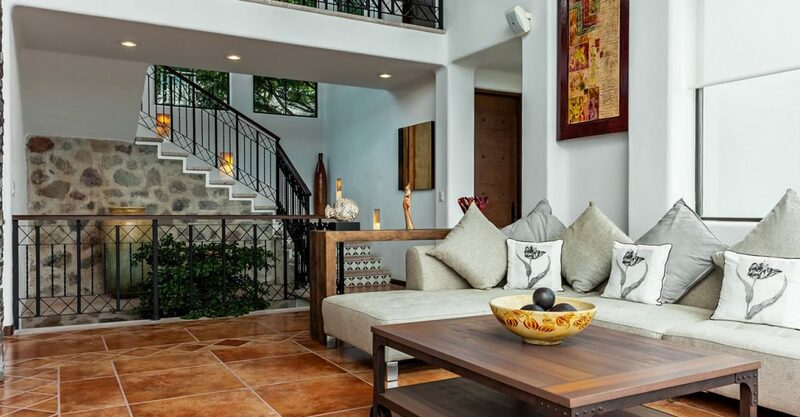 The home offers a total of 5 bedrooms, including 1 bedroom at basement level (with full bathroom), 2 on the main level (each with full bathroom and closet) and 2 bedrooms on the upper level (with balcony and full bathroom). 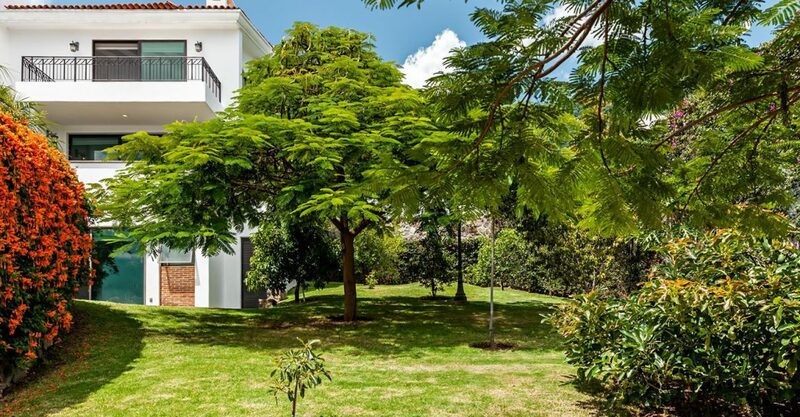 The property also includes a caretaker house. 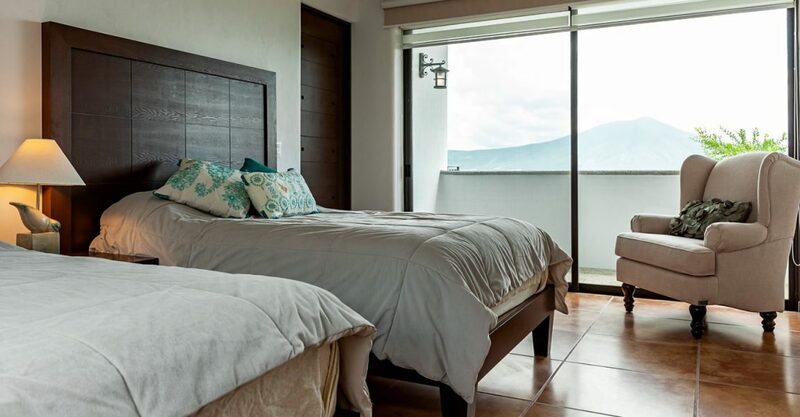 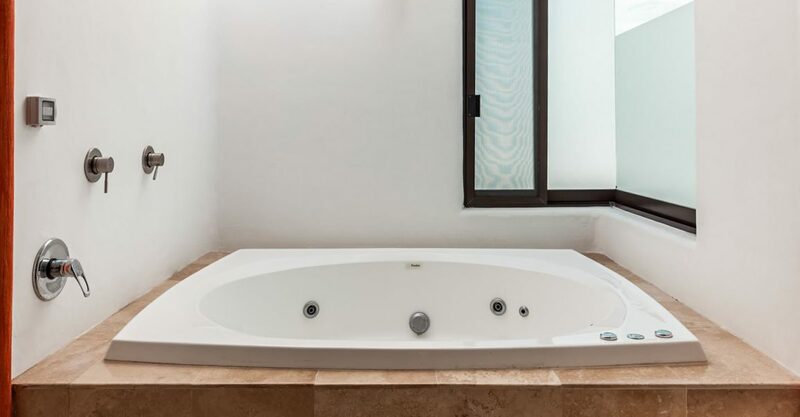 The home is offered fully furnished and comes equipped with solar panels, water filters, Jacuzzi pool, wading pool, independent sound system inside and outside, video surveillance, water and municipal drainage.